Rewards Canada: IHG Big Win 2014 now open for registration - our offer is for 31,000 bonus points, what's yours? 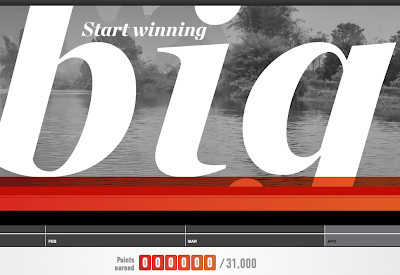 IHG Big Win 2014 now open for registration - our offer is for 31,000 bonus points, what's yours? Just tried logging into the new Big Win page on IHG and am happy to say it appears to be open for registration! My offers are pretty low as I hit only the 31,000 point mark whereas others will more than likely get higher offers. This time the Big Win isn't as easily achievable for me as certain portions like the "Win in a Weekend went from 2 Saturdays to 3 Saturdays but other parts have become easier such as "Win Big" and "Stay More and Earn More" require less steps. I really don't know if I will go for the Big Win for only 31,000 points but you never know as I don't really even know my schedule for the 2014 yet! What offer did you receive? Feel free to share it with the Rewards Canada readership below and let us know if you are going to try for some or all of your offer. As always, thanks for posting! Happy Holidays Patrick! I'm being offered 7 offers of 1,000 Aeroplan miles each. Definitely based on past stay history! No IHG stays for me in the past while. Good luck on the next Big Win for you! Did you switch your earning preference to Aeroplan? If so that is probably why you got this Aeroplan offer. 7K Aeroplan Miles doesn't seem like much for those requirements especially when you factor in IHG Point Breaks opportunities. It was always on Aeroplan. I didn't switch it. 7k Aeroplan pts is not worth my time when I can get 3-4k per stay if I apply the right offers prior to the stay.